After washdown of bottom blisters in the antifouling was revealed in some places penetrating all the way through priming down to metal. Local epoxywork in several places has to be added to the work of the bottom.The question now is what antifouling to use-another kind of selfpolishing paint (Jotun seaforce 90) or a hard (copperbased?) 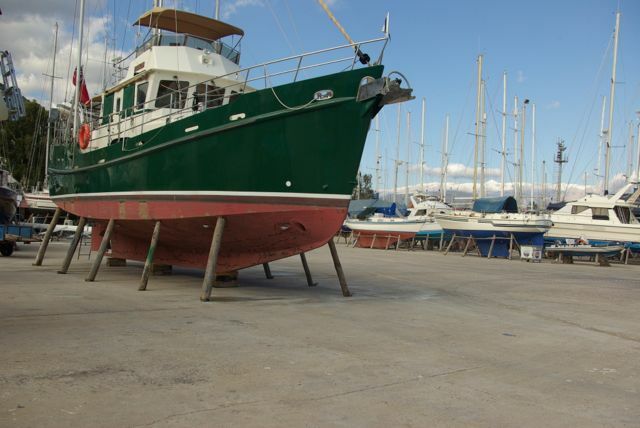 antifouling (Stoppani Fisher Active) ?